It is with great excitement that we announce that the 21st IFDH International Symposium on Dental Hygiene will be held in Brisbane, Australia! 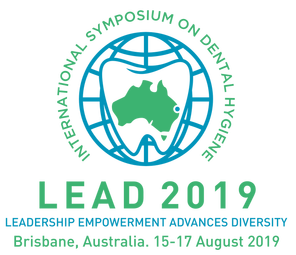 Hosted by the Dental Hygienists Association of Australia in conjunction with the IFDH, the Symposium will take place from August 15-17, 2019 at the Brisbane Convention & Exhibition Centre. The House of Delegates Business Meeting will take place immediately prior to that on August 13-14, 2019. As you may be aware, the Board decided to postpone the ISDH 2019 in Seoul to 2024. This was a very difficult and painful decision, but it was made in the interests of safety for our members and participants due to the concerning political situation on the Korean Peninsula. We are very grateful for the concessions the KDHA has made and look forward to a successful and well attended Symposium in Brisbane in 2019. Choosing a new venue has been a long and considered process. The Board made a decision on a backup country with information gathered from Board members who contacted the previous runners up in 2013 and 2016. This had to be negotiated in a highly confidential manner and once the new venue was chosen we had to wait a short while until all contracts were signed. The Symposium Guidelines were used as guidance for the process of changing venues. We thank the DHAA and its Committee for working hard with the IFDH Board in the last month. The DHAA looks forward to welcoming friends and colleagues from around the world to the land "down under"! Get the flavor of beautiful Brisbane and area by watching this video.